Leuco arrived at Bird TLC in 2003 as a youngster that was possibly kicked out of the nest by clutch mates. He had temporary leg nerve damage and was a failure to thrive case. He has been used by Bird TLC since then in their education program but recently had developed cataracts and some other unusual intermittent behaviors. Dr. Brightman, a veterinary ophthalmologist, performed double cataract surgery on him in the fall and touched his left eye up on Monday. He is under a quarantine and behavior observation period in a smaller mew then will be transferred to the main eagle aviary in several months. 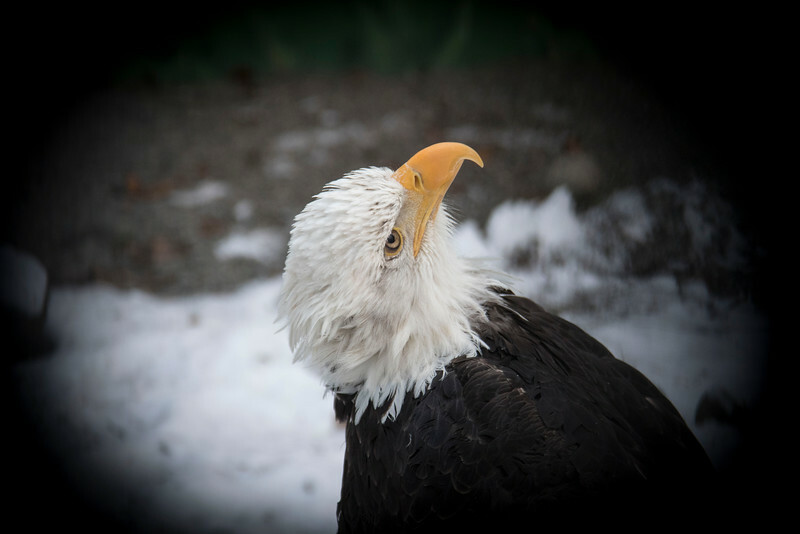 We are hopeful we can integrate him with the other 2 bald eagles by summer.